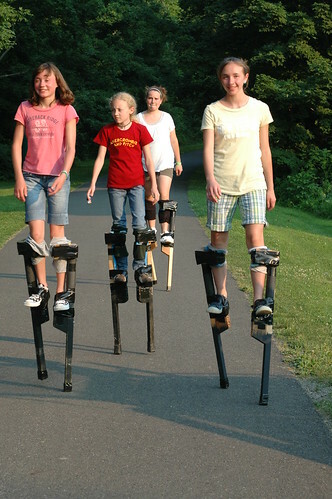 girls gone stilting, originally uploaded by jahansell. My, how tall you've grown! Thanks to Mark Alexander of Mortal Beasts and Dieties for his tireless stilting instruction at the Family Arts Festival!